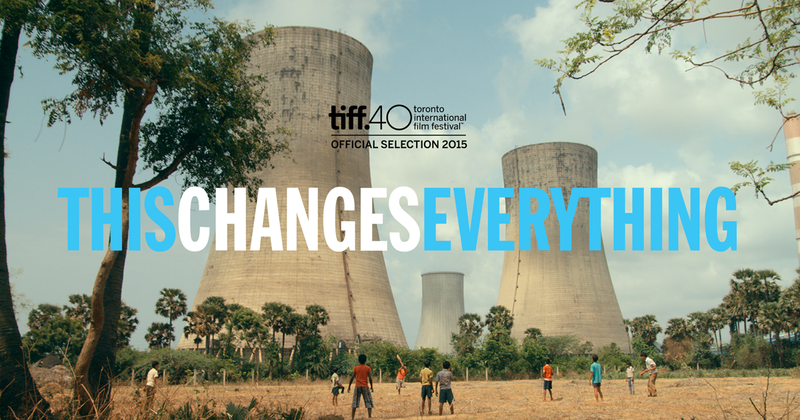 As a fundraiser/campaign event I am showing the film “This changes Everything” at Lopdell Theatre this Saturday. Entry is free although a Koha to cover expenses and to help fund my campaign is asked for. The film is by the irreplaceable Naomi Klein and covers how different communities throughout the world have dealt with climate change in their local area. The premise behind the movie is that by local action we can address this most important of issues. The trailer gives you a feeling of what to expect. There are still some tickets for the 5:30 pm showing. If you are interested then you can book tickets here or contact me. I hope there will be some local discussion generated by the film and thought that I should set out my own views on the subject. Firstly I have for a long time thought that the issue is one of the most pressing that our world faces. As time goes by the science becomes more certain and the evidence of change becomes more pronounced. We are trashing our planet and it is the only one that we have. And our backyard is the place showing the early predicted signs. The intensity and frequency of cyclones and hurricanes in the Pacific is clearly increasing. Raising sea levels are turning growing areas in low lying islands toxic. Tuvalu could be a few centimetres of sea rise and a couple of storms away from being uninhabitable. The argument for immediate action as far as I am concerned is compelling. So what can Auckland Council do? I think the best way to approach the issue is to divide it into components. The problem is too much CO2 being produced, the solutions are to either absorb CO2 through more trees or other means, or to reduce the output. More trees is eminantly achievable. The recent proposal by Pure Advantage that 1.3 million hectares of New Zealand land be replanted is a much smaller job when it is remembered that there are 1.1 million hectares of land suffering from erosion which would benefit from replanting. And Auckland needs an urban tree strategy for a number of reasons. Carbon desequestation is one direct benefit from this proposal. How to reduce output? There are two primary areas for action. The first is a massive increase in the use of public transport augmented by improved walking and cycling networks. The rail system, driven by electricity hopefully produced by natural means, provides renewable transport. If we walked and cycled and caught the train more then we could significantly reduce our individual CO2 output. And we need to realise that inconvenient truth that building more roads induces more use of private motor vehicles. The second is to change and improve our electricity generation. New Zealand is pretty good in terms of its renewable energy but 100% reliance on renewables is an achievable goal. This discussion should permeate every decision made by Auckland Council. Everything that Council makes should be measured for its effect on climate change. And of course the decisions that help deal to this most difficult of issues should be preferred.